Whether placed under your pillow, in your clothes closets or drawers, or among your linens, these French Lavender sachets will promote a sense of peace and calm, while imparting the pleasant scent of lavender. 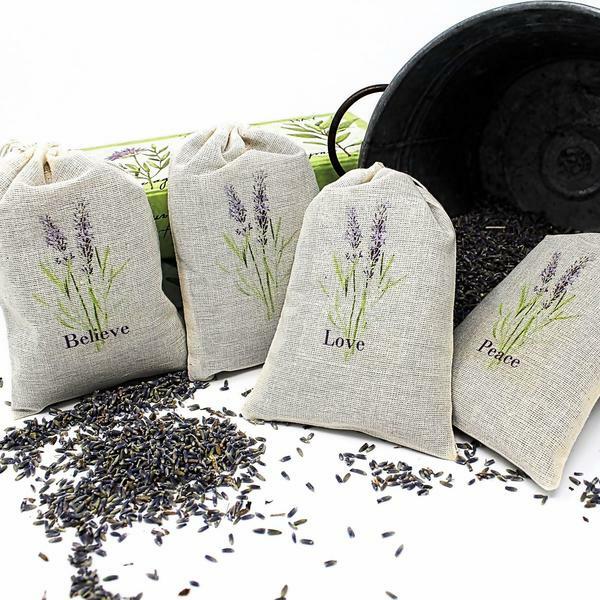 Each 4x6 sachet contains approximately 1 ounce of fragrant dried French Lavender Lavendula angustafolia buds. No added fragrance or essential oils. Choose between four lavender printed images.